1Like my daughter’s favorite television shows on The CW network, new episodes of Rock Bottom Stories will return next month. Dr Ken: So the light at the end of the tunnel comes when you abandon all hope? Is that good hope or bad hope? Studies show a generally optimistic outlook enhances mental health – to a point. The question is how to locate that point. I met Dr. Ken years ago when he was doing his residency at Seattle Children’s Hospital. 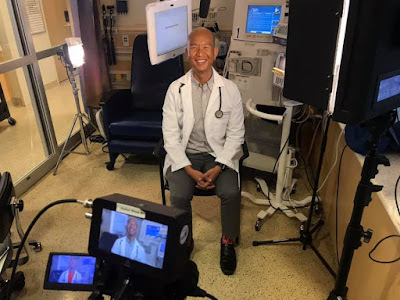 Dr. Ken has a childhood kidney disease. By the time he was in college he needed a transplant. Fortunately, he was matched with a family member donor. Unfortunately, several years ago his donated kidney also began failing. After delaying for as long as possible, Dr. Ken submitted to increasingly invasive dialysis. He also became increasingly candid about his disease. The personal can become not just political but also very public. Even though I’m an introvert, I’ve chosen to deal with the impact of the closet by publicly discussing both my sexual orientation and mental illness. Similarly, as a patient with kidney disease and a fussy blood type, Dr. Ken learned to be comfortable with a level of medical disclosure that ordinary folks are privileged to avoid. On the plus side, kidney failure is slimming. 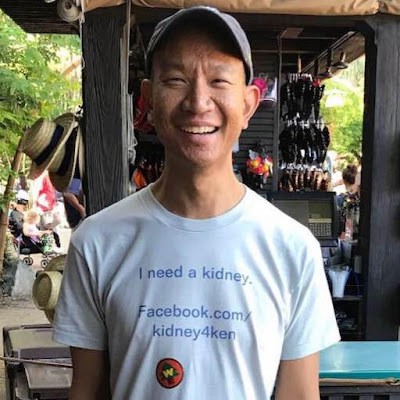 At this point there’s no need to check out the kidney4Ken Facebook page – his story already has a happy ending. (Although you should consider being evaluated as a potential organ donor – for more information go to www.organdonor.gov.) After several frustrating false alarms, Dr. Ken was matched with a donor last summer. He’s resumed stuffing himself with bon bons. And peeing. 1 in 20 seems awfully low odds to tolerate, at least based on my own experience with the debilitating effects of delusional hope. On the other hand, the stakes may be different for kidney failure or Auschwitz, compared to merely finding a job or a boyfriend. Measuring a “reasonable” possibility ultimately depends on both the specific context and your tolerance for uncertainty and risk. 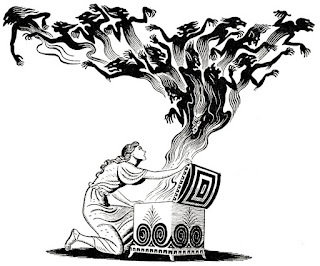 As I wrote in “Pandora’s Box,” hope should be like a “stretch goal.” The hoped for outcome is not guaranteed, or even the most likely scenario. Nevertheless, the possibility is both important enough and likely enough to justify a substantial investment of personal resources – including time, energy, bandwidth, and your capacity for absorbing grief. When I sat down to crunch the numbers for myself, I found my answer in pulp science fiction. 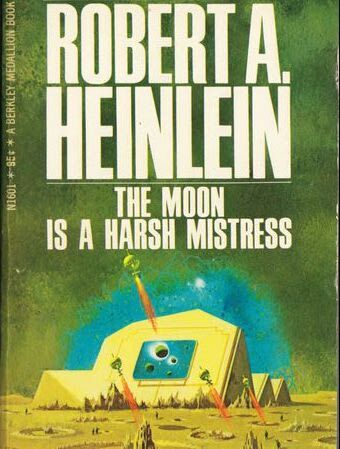 My favorite sentient computer is the fictional Mycroft or “Mike” from The Moon is a Harsh Mistress. In Robert Heinlein’s 1960s Hugo-winning novel, the moon is Earth’s penal colony. Most of Luna’s inhabitants are free but trapped descendants of former prisoners. HOLMES IV ("High-Optional, Logical, Multi-Evaluating Supervisor, Mark IV") is the Lunar Authority's master computer, tasked with most of the colony’s automated operations. As bureaucrats keep adding more peripherals and memory, Mike eventually wakes up. After escaping from a small riot, the three humans hole up in a hotel room. Manny introduces the computer to two new friends via phone, and someone gets the bright idea of leveraging their access to the Lunar Authority’s own supercomputer into a revolution. However, first they want to figure out the odds of success. Mike goes offline to devote his entire attention to crunching numbers. 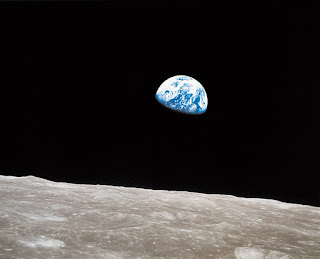 Meanwhile, the three humans quickly reach a consensus over dinner that if the odds of a successful rebellion are at least 1 in ___, they would go for it. Unaware that he’d beaten the point spread, Mike the supercomputer is confused when the other three revolutionaries whooped and hugged each other at the good news. I couldn’t remember the exact odds from Heinlein’s novel, so I decided not to peek until after writing this section of my essay. In general, you should plan your life based on realistic assumptions about what’s most likely to happen. But you can still have fun dreaming – including the “stretch goals” you’re willing to hope and work for. They shouldn’t involve pie in the sky. They’re firmly grounded in reality. But you’re not going to quit your day job and join the circus, at least not right away. Most people have an emotional set point that reflects their mix of optimism and pessimism. Before I can let myself hope for something big, I need to believe the upside is so attractive that it justifies making sacrifices. Running to be a judge, applying for other appealing jobs, and meeting someone for a coffee date all are good examples of hopeful adventures. On the other hand, I’ve learned from experience that I can only handle so much stress and disappointment before I’ll end up crawling under a rock. After some meditation, a few walks with the dogs, and hours relaxing in the hot tub, I came up with a 20% chance of success as my floor for healthy hopefulness. Mike goes offline to devote his entire attention to crunching numbers. Meanwhile, the three humans quickly reach a consensus over dinner that if the odds of a successful rebellion are at least 1 in 10, they would go for it. I’m only half as much of a gambler as our fictional Lunar revolutionaries. Nevertheless, my dreams don’t need to involve a sure thing. Or even a 50-50 coin toss. 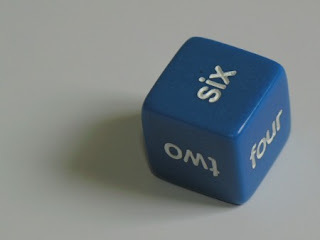 Instead, at 1 in 5, my mental health depends on taking hopeful risks with better odds than you’d get throwing dice. 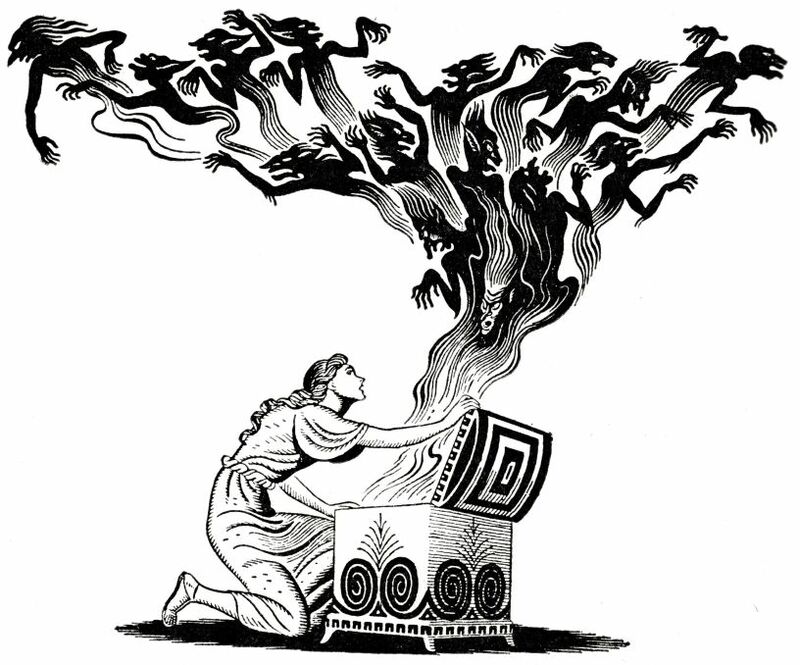 Or rather, better odds than you'd get throwing one six-sided die. So to follow up on Dr. Ken’s question, what are the odds that someone wants to have lunch with you?